From the seventh-last selection in the 2017 CHL Import Draft to a star first-pairing defenceman. That’s the story of Adam Boqvist, the London Knights blue-liner turned Chicago Blackhawks prospect who tormented the rival Windsor Spitfires as he decorated the scoresheet over four quarter-final contests, including an incredible four-goal outburst in a pivotal Game 3. 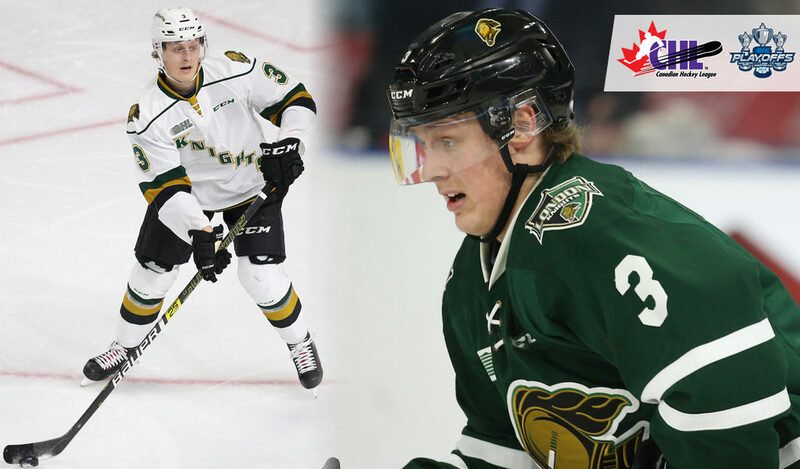 In all, Boqvist wrapped up the opening round with six goals to his credit – the most in the OHL playoffs – while also picking up one assist, demonstrating the skill set the Knights saw in him when they first called his name two years ago. Still, his selection came with some risk, as the Swedish-born Boqvist had only ever skated in his native leagues and there was no guarantee he’d bring his game to North America. It’s a move that paid off in the end, and something that came to fruition thanks to the Knights’ ability to build a thriving program that any up-and-comer would want to be a part of. 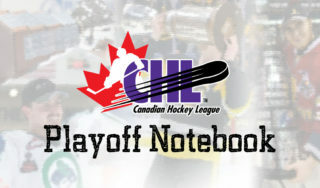 A premier OHL franchise over the past two-plus decades, the Knights are currently enjoying their 22nd consecutive playoff appearance, while also continuing to churn out a host of future NHL talent, a list that, among others, includes defencemen Olli Maatta (Pittsburgh), Victor Mete (Montreal), Nikita Zadorov (Colorado), and current Knights captain Evan Bouchard (Edmonton). In London, Boqvist has gotten the opportunity to learn the North American game, honing his skills under Knights longtime bench boss Dale Hunter, while ultimately preparing for a promising pro career with the Blackhawks. If his playoff performance isn’t evidence enough, Boqvist showed that he needed little time to adjust to his new environment as he racked up 60 points during the regular season to lead all London defencemen and finish third in team scoring. His 20 goals also sat second among all OHL rearguards. 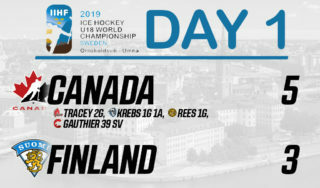 The budding blue-liner brings tremendous offensive instincts and an overall enticing skill set that blends exceptional vision, even greater mobility, and an invaluable ability to work the power play. Together, those attributes made him an intriguing first-round draft choice by Chicago last June. Now less than a year later, his first season in the junior ranks is showing his selection to be an astute pick by the storied franchise. 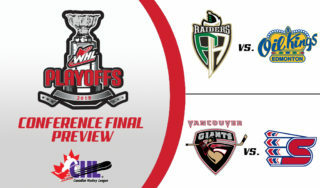 The second round of the Canadian Hockey League postseason begins this weekend when the London Knights will go head-to-head with the Guelph Storm. 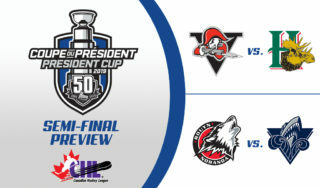 For complete OHL playoff preview coverage, click here.